Two quick drawing in my Moleskine. 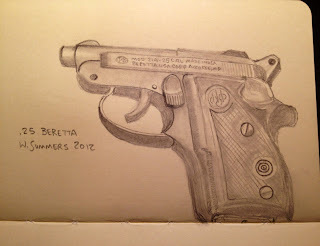 The first is of a .25 Beretta using a pencil and blending stump. About 10 to 15 minutes tops. The second is of my Lamy fountain pen using a Pitt sepia artists pen and a yellow colored pencil. 3 to 5 minutes on this one. Cheap entertainment before watching a movie on a Saturday night. 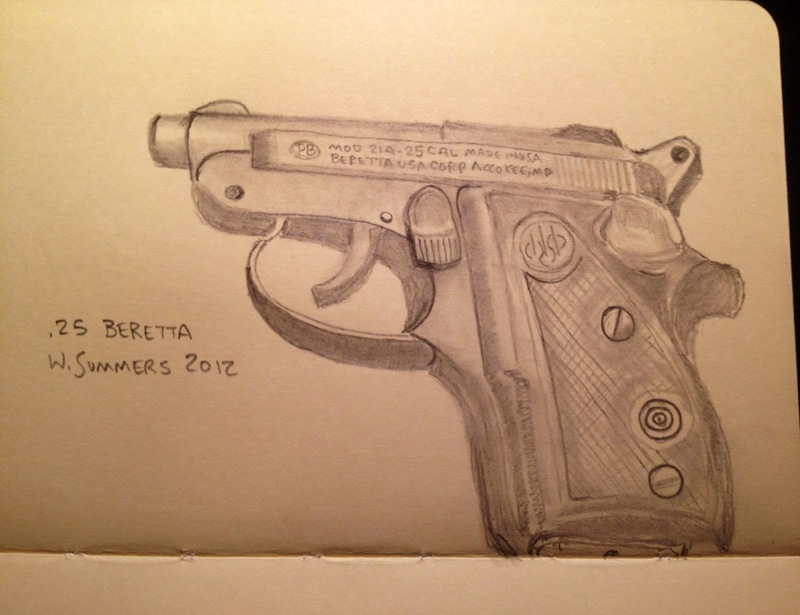 I like them both, but I think the pen is mightier than the sword..er, I mean pistol. Thanks Sooper8! I get to use the pen a lot more than the pistol. Thankfully.